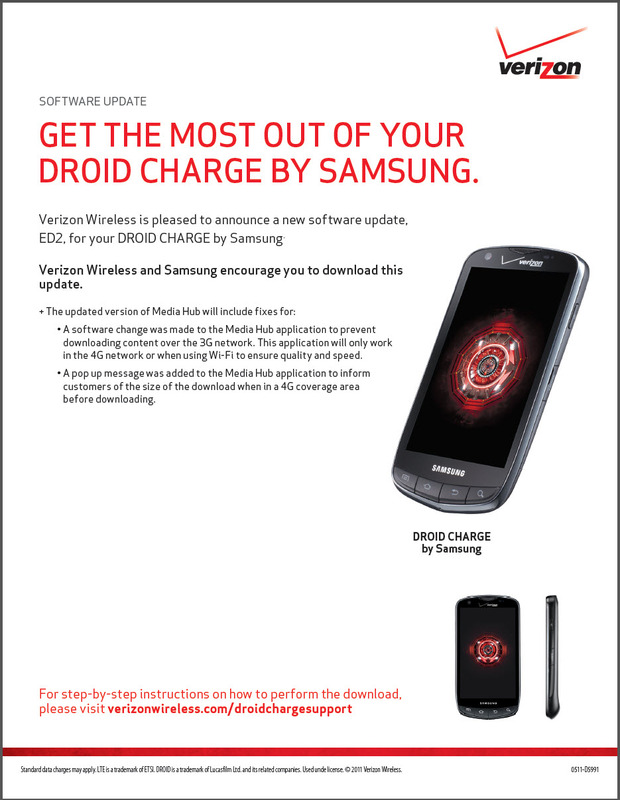 The DROID Charge is finally back on sale, people. If you planned on picking one up today, just know that when you boot it up for the first time, there will likely be an update waiting for you just like you are seeing above. 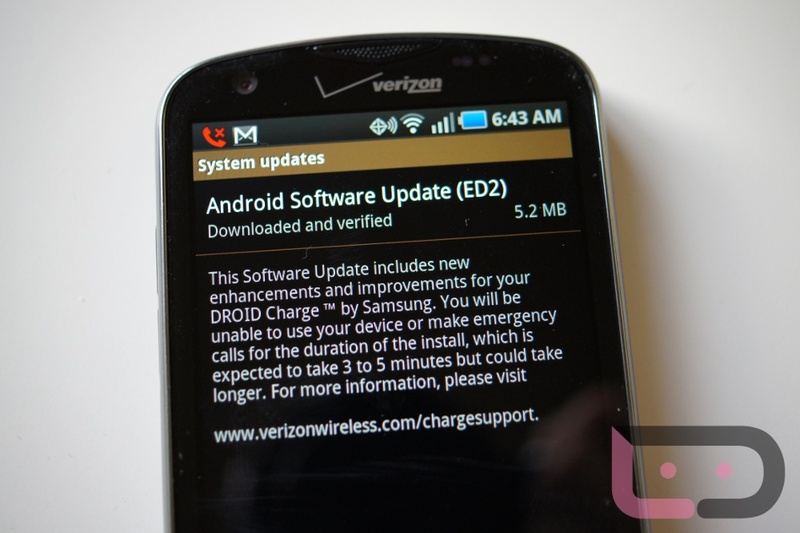 The update is ED2, is 5.2MB and doesn’t do anything except stop you from downloading Media Hub items over 3G. Was hoping for it to be a little more robust and include the removal of the worst OEM UI in the history of Android, but that hasn’t happened.